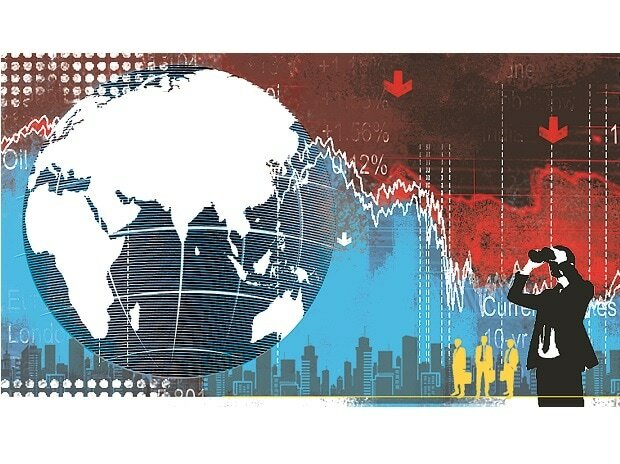 Trade tensions and political uncertainty including Brexit are weighing on the world's economy, the OECD warned Wednesday as it again cut its 2019 forecast for global economic growth. "High policy uncertainty, ongoing trade tensions, and a further erosion of business and consumer confidence are all contributing to the slowdown," the OECD said in an interim version of its Economic Outlook. The OECD, which groups the world's top developed economies, revised growth estimates lower in almost all of the countries in the G20 group of industrialised and emerging nations. The growth forecast for European powerhouse Germany sank to 0.7 per cent from 1.4, while Italy's fell from 0.9 per cent growth into a recession at -0.2 per cent. The OECD said the sharp downturn in the two countries reflected "their relatively high exposures to the global trade slowdown compared with that of France", which slipped from 1.5 per cent to 1.3. "Substantial policy uncertainty remains in Europe, including over Brexit. A disorderly exit would raise the costs for European economies substantially," the OECD said. Britain's growth forecast was chopped from 1.4 to 0.8 per cent, which would mark the first time it had fallen below one percent since 2009 following the global economic crisis. However, the OECD emphasised that even this projection was based on the assumption of a smooth Brexit. If Britain crashes out of the European Union without a deal on future economic relations, the OECD said its outlook would be "significantly weaker". On Wednesday, chief EU negotiator Michel Barnier said "no solution" had been found to break the deadlock. "OECD analysis suggests that the increase in tariffs between the two economies as a result of WTO rules coming into effect would reduce GDP by around two per cent (relative to baseline) in the United Kingdom in the next two years." Meanwhile, trade restrictions imposed last year -- notably by the United States and China -- are "a drag on growth, investment and living standards, particularly for low-income households," the OECD said. The world's two biggest economies are pursuing trade negotiations, but the OECD warned that other risks remain even if they do reach a deal, including potential US tariffs on European car imports. "This would hit Europe particularly, where motor vehicle exports represent around one-tenth of total EU merchandise exports to the United States," it said. But the OECD warned that "a sharper slowdown in China would hit growth and trade prospects around the world". OECD chief economist Laurence Boone said the "global economy is facing increasingly serious headwinds. "A sharper slowdown in any of the major regions could derail activity worldwide, especially if it spills over to financial markets," Boone added in a statement. "Governments should intensify multilateral dialogue to limit risks and coordinate policy actions to avoid a further downturn.